By its very nature, child care is expensive. When you have twins (or twins and other children) these expenses can be unbearable. 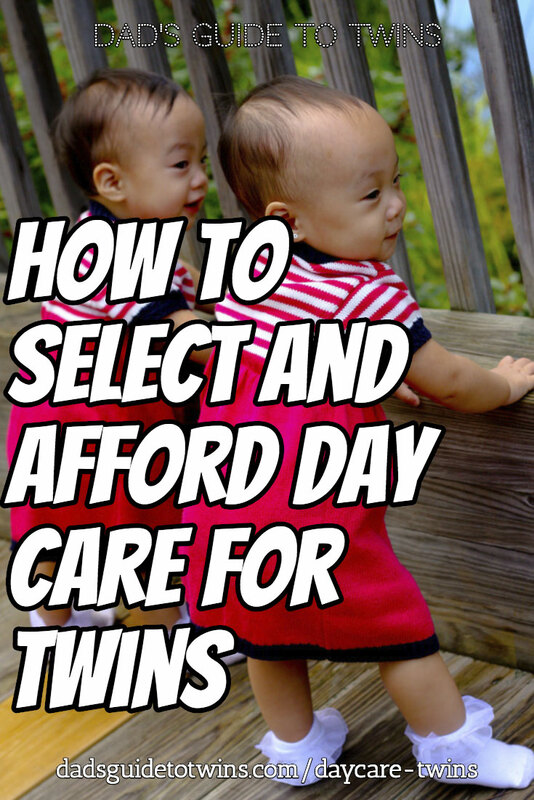 Let’s walk through some options, potential costs, and how you can navigate through the financial burdens of affording daycare for twins. Beyond the financial and logistic issues of child care for your twins, one nagging concern lingers. How do you get over the hurdle of handing your babies and possibly your home to a complete stranger? This is not an easy thing to overcome. Referrals from a trusted source are the key here. Talk to members of your local twins and multiples group for recommended daycare centers or in-home providers. Interview any potential caregiver in person and with your twins present. You want to see how they interact with your twins and vice versa. Just like you’d test drive a car, you can test drive child care. Put your twins in a new center for a day or a week and see how they do. Or if you’re hiring an individual, have them come babysit for a day and then make a long-term decision. How much does daycare cost for twins? Prices of child care vary greatly based on where you live. You could spend $2000-$4000 per month for twins in large cities to around $1000 per month for twins in a more rural area or smaller town. After talking with several twin parents, I’d say expect at least an average cost of daycare for twins of $250 per child per week as a baseline. On your way to work, you likely pass by several traditional child day care centers. These facilities care for large numbers of children of varying ages. Expect a low ratio of adults to children and thus not a lot of individual attention for your twins. These facilities charge by the child per month. Some will give discounts if you pay in advance for multiple months. In addition to traditional daycares, your area will have a local church or non-profit daycare centers. These are sometimes cheaper than regular centers because of their non-profit nature. You may have access to one of these through your church or community. Family-based daycare for twins is when the care happens in someone’s home. This may be a mother who watches additional children in her home during the day. The best way to find these are through referrals from friends or your local parents of multiples group. If you’re lucky, there is one in your neighborhood. An Au Pair is typically a young adult from another country that comes and lives with your family to take care of the children. There are several agencies which can help match you up with an au pair through an interview and selection process. Keep in mind that this person will be living with you but not always “on duty.” So you’ll need a private room for them to sleep and make sure you have scheduling expectations properly set. A nanny may be an affordable alternative to other forms of daycare. 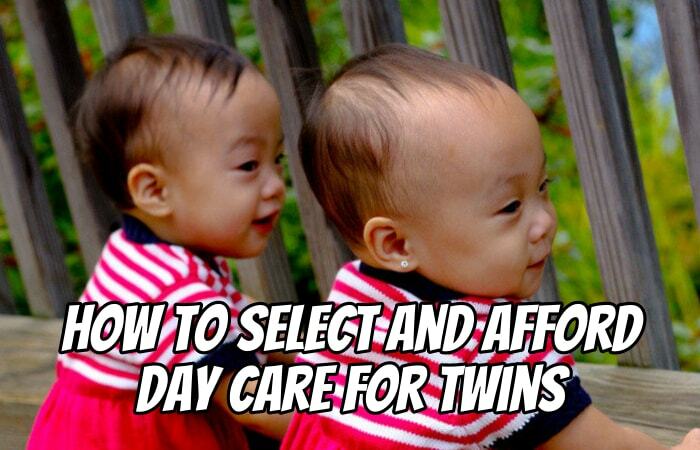 Here’s how to find a nanny for your twins. Many twin parents find that it is cheaper to hire a nanny than to pay for a daycare facility. Plus you get the benefit that your children are taken care of in their home and familiar surroundings. Contracts with nannies vary but many are paid by the hour. Most nannies will work during the day. However, there are night nannies which can be lifesavers when you just can’t have another sleepless night. Check out these experiences from your fellow fathers of twins Tim Blaisdell and Scott Alan Turner who both hired nannies for their twins. Always negotiate. Always ask for the Twin discount. Your twins’ daycare provider may offer discounts for multiples or siblings. Remember, you are bringing two kids to their businesses which overall means more money so don’t be afraid to negotiate a “volume” discount. Make more money. OK, let’s be frank. Making more money to pay daycare costs for twins isn’t always possible. However, if you can find a better paying job, go for it. If you can work a side gig and make some money, do it. You might also consider having both parents work. However, this is tricky territory. You don’t want one parent’s income almost exclusively going to pay for childcare. That parent might as well stay home and care for the twins instead of working just to be away from them. Switch to part-time work so you can watch your twins. Being a stay-at-home parent doesn’t have to be an all or nothing deal. You or your spouse could cut back your work hours to part-time so that one can watch the twins while the other works. You then take turns. This can be a rough schedule because you won’t be spending much time together as a couple or family. Cut your expenses. Take a long, hard look at where you spend your money. If you don’t track it right now, use a tool like Personal Capital to automatically track your spending. This will help you identify where all your money goes. When you review your expenses, look for those that aren’t really necessary. Yes, you are wasting money on things you don’t really need. Cable, Starbucks, restaurants, alcohol, and more are all “wants” instead of “needs.” If you are ruthless in cutting your expenses you don’t have to get another job or have both parents work. Pay off your debts so you have that extra cash flow on a monthly basis to pay for twin expenses. Look at your car loans, student loans, and mortgage to see what is within your reach. Be a stay-at-home dad. If the income from your spouse is enough, you should just stay home and care for the twins. Having a stay-at-home parent is a huge blessing to your family. You don’t have to pay for childcare and you get to actually raise your twins personally instead of passing them off to someone else. 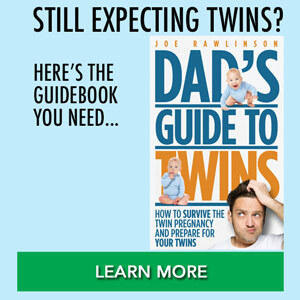 Several dads that I’ve interviewed on the Dad’s Guide to Twins Podcast are stay-at-home dads. 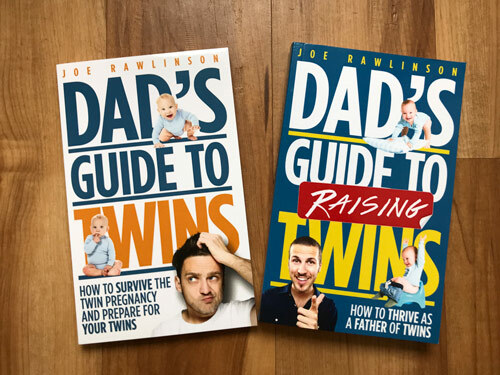 Check out the stories of twin dads Thomas Cohen, Dakota Hubbard, and Kevin Zelenka for examples of how they made that decision and why it worked for their families. Trade babysitting with friends. If you have friends with similarly aged children, consider working out a babysitting trade. On a regular schedule, you watch their kids and then they watch yours. This might not work if you have a full-time job but it could be an option with part-time jobs or on an as-needed basis. Call in reinforcements from friends, family, grandparents, or others. Don’t be afraid to ask for help. Everyone’s family situation is different. Your parents might be very willing and able to watch the grandkids during the day while you work. Other grandparents are too far away or in poor health and unable to help. If you do have family close by, see if they can help you at least one day a week if not more. None of these options are really easy. However, having twins requires creativity in your plans and sacrifice as a family to make it work. What child care options have worked for you? Please share in the comments below.